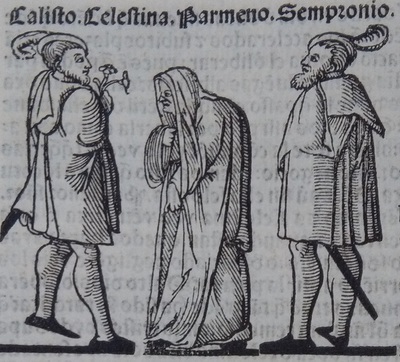 Death of Celestina. 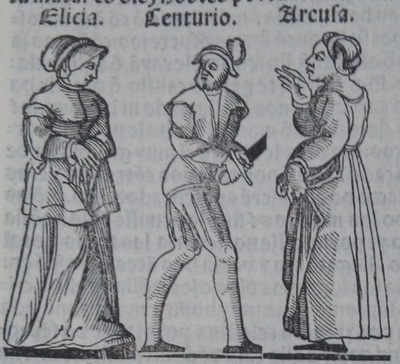 While one of the male characters holds her, the other is ready to stab her. 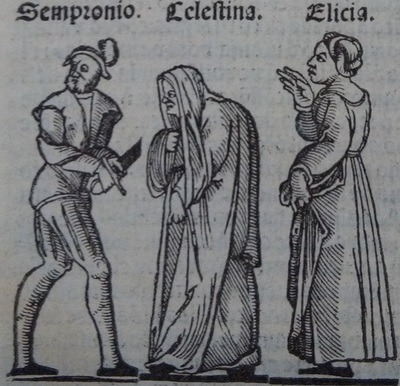 Elicia is pulling her hairs. 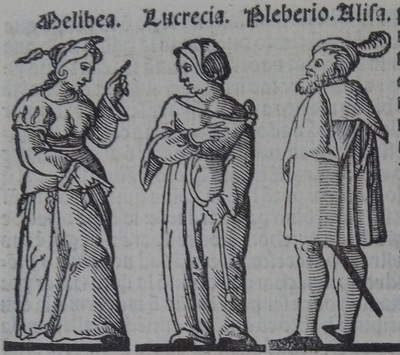 Curiously, there is a windows with two characters outside. 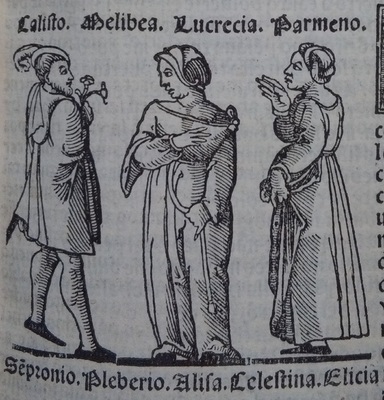 Shelves with cups and glass containers. 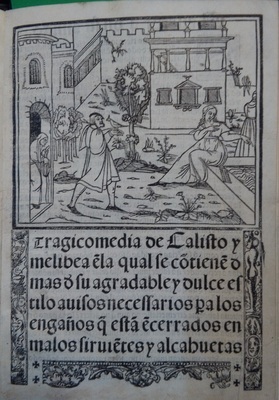 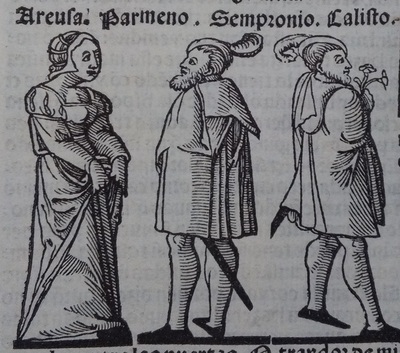 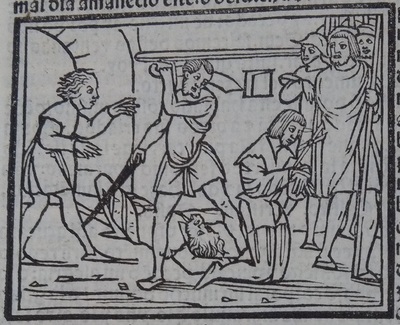 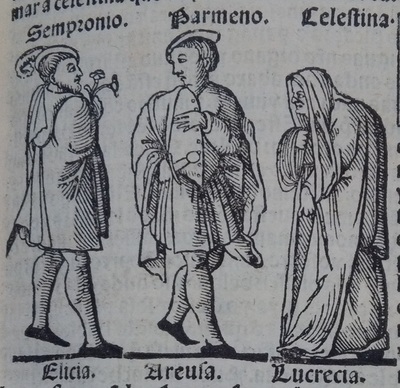 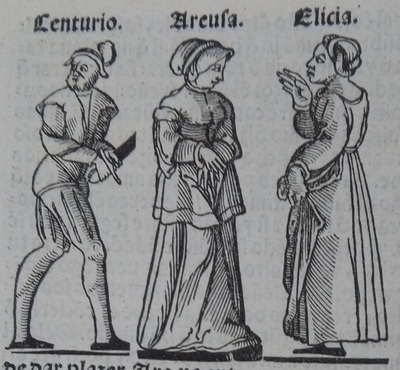 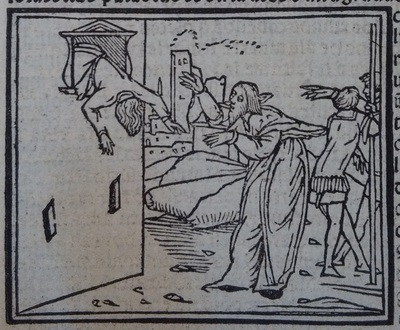 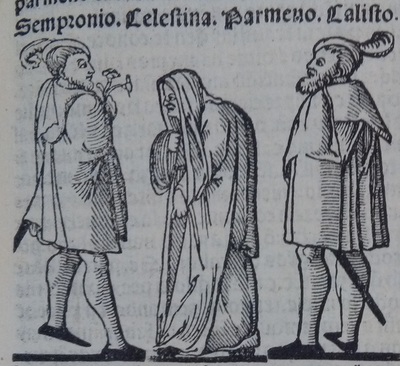 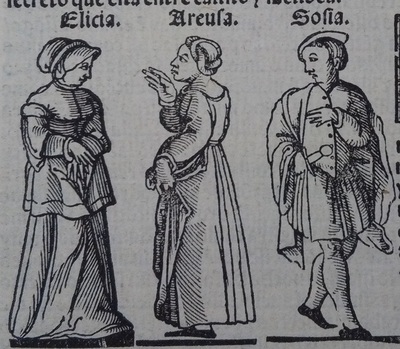 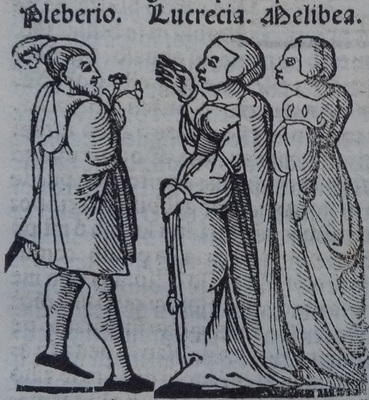 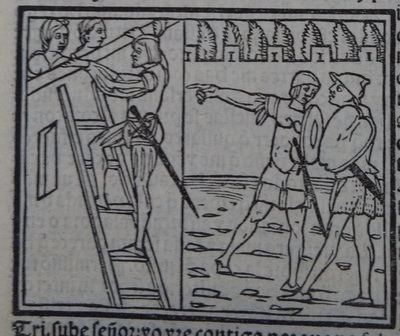 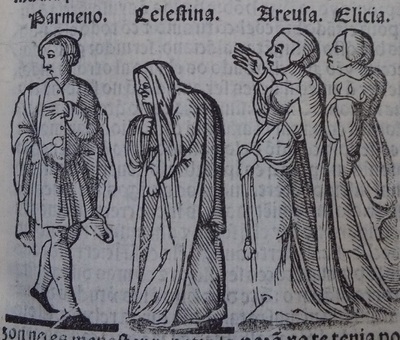 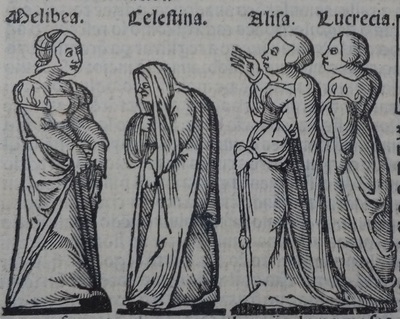 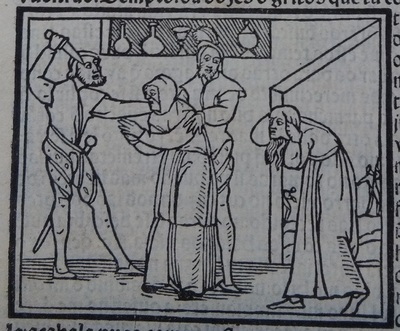 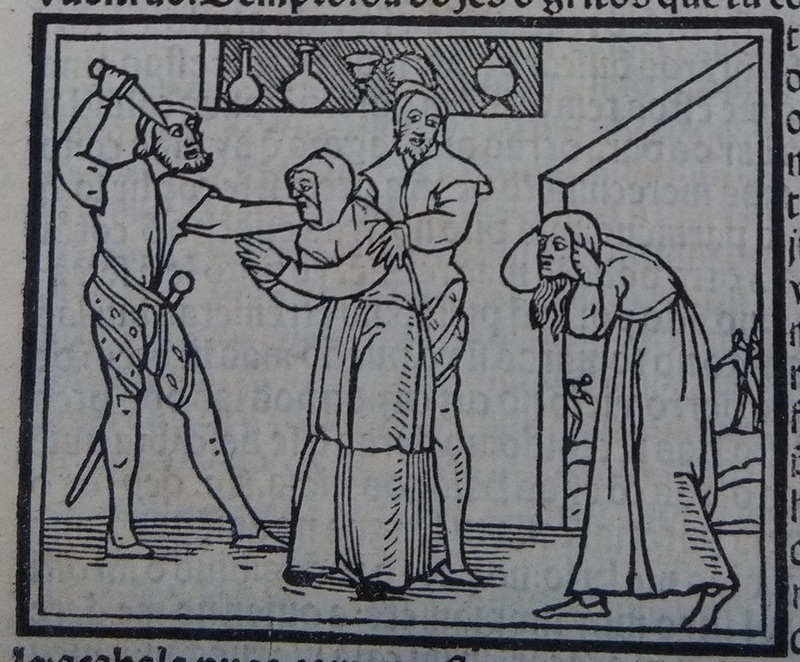 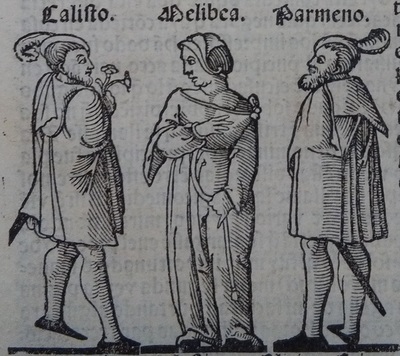 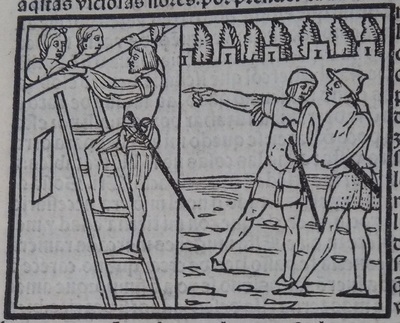 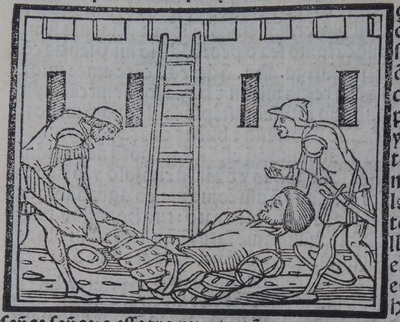 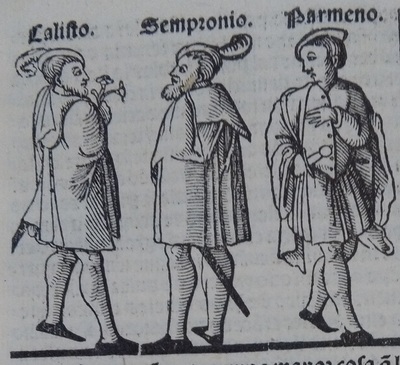 L. Rodríguez and anonymous illustrator, “Second image of act 12 of the edition of Lisbon (1540),” CelestinaVisual.org, accessed April 23, 2019, http://en.celestinavisual.org/items/show/3092.